Earlier this week, the House Appropriations Subcommittee on Labor, Health and Human Services (HHS), Education, and Related Agencies held the first hearing of the year on the National Institutes of Health (NIH) fiscal year (FY) 2016 budget request. Panelists included NIH director, Dr. Francis Collins, Dr. Anthony Fauci of the National Institute of Allergy and Infectious Diseases, Dr. Gary Gibbons of the National Heart, Lung and Blood Institute, Dr. Tom Insel of the National Institute of Mental Health, and Dr. Nora Volkow of the National Institute on Drug Abuse. In his remarks, Dr. Collins noted that the NIH has worked diligently to enhance human health, lengthen life, and reduce illness and disability. He acknowledged that the leadership, employees, and grantees passionately believe in the NIH’s mission. 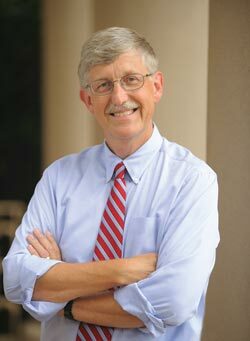 He said that the foundation of basic science has driven NIH’s ability to understand disease for more than a century through diagnosis, treatment and prevention. Dr. Collins stressed the NIH’s intent to lead the charge on the recently unveiled Precision Medicine Initiative (PMI). He reminded the subcommittee that the near term goal of the PMI focuses on cancer and added that cancer research has been leading the way in precision medicine for many years, by defining the driver mutations in individual tumors and using this information to design ideal therapies for each patient. He said the PMI seeks to accelerate discovery and expand current cancer genomics research to understand the development of resistance to targeted therapy, to apply non-invasive methods to track patients’ responses to treatment, and to explore the efficacy of new drug combinations targeted to specific tumor mutations. Highlighting a young woman’s epidermal growth factor receptor (EGFR) mutation and her positive response to the drug Tarceva, Dr. Collins said the PMI would allow researchers to do groundbreaking, historic work. Dr. Collins noted that the President’s FY 2016 budget request for the NIH is $31.311 billion ($1 billion above the enacted FY 2015 level). Supporting the president’s request would allow 10,303 new and competing Research Project Grants (RPGs) to be funded in FY 2016, an increase above FY 2015 grant levels. The budget would also provide the capacity to improve the health of our nation and the ability to maintain the U.S.’ standing in biomedical science and develop new therapies, he said. Reminding the subcommittee that China is now filing more patents in medicine than the U.S., Dr. Collins said that we are in danger of relinquishing our standing in biomedical research. While the subcommittee’s Ranking Member Rosa DeLauro (D-CT) recommended doubling the NIH budget, Dr. Collins suggested the best thing for the NIH would be a budget that is on stable growth trajectory and that keeps pace with inflation, plus a little bit more, which would allow the U.S. to flex its innovative muscles. Chairman Tom Cole (R-OK) communicated his commitment to making NIH funding a priority for the subcommittee and offered to do what he can to support the NIH, despite funding restrictions imposed by budget caps. Samir N. Khleif, MD, director of AACI-member GRU Cancer Center at Georgia Regents University, testified before the U.S. House of Representatives Committee on Appropriations Subcommittee on Labor, Health and Human Services, Education, and Related Agencies on Tuesday, March 25. 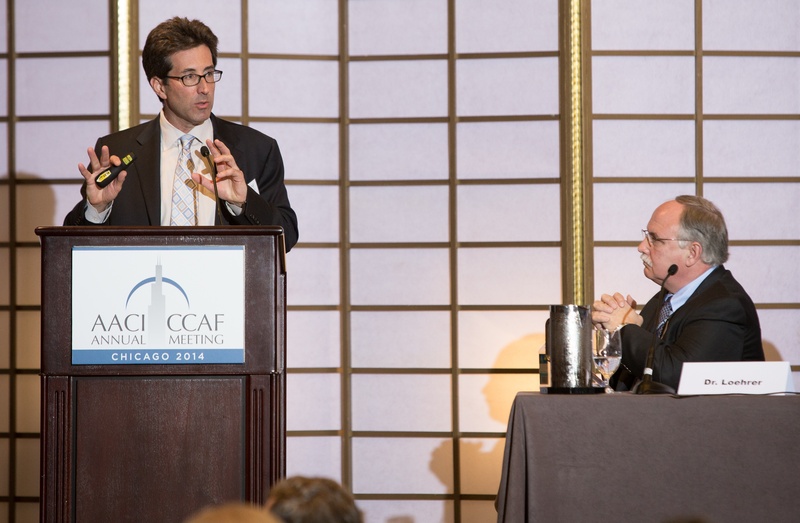 Dr. Khleif, a respected researcher and advocate in the cancer community, stressed the need for increased National Institutes of Health (NIH) funding for cancer research and the need for more funding devoted to the elimination of cancer health disparities, particularly among minority and economically disadvantaged populations. Dr. Khleif requested that the Subcommittee propose a budget of $32 billion for the NIH in FY2015, in order to keep the brightest scientists at cancer centers focused on biomedical breakthroughs. GRU Cancer Center at Georgia Regents University is focused on reducing the burden of cancer in the State of Georgia. 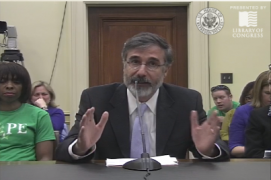 A list of hearing witnesses can be found by visiting this link. A GRU press release about Dr. Khleif’s appearance is here.